Joanne McCann’s family were heartbroken in March 2018 when she lost her battle with cancer, aged just 35. 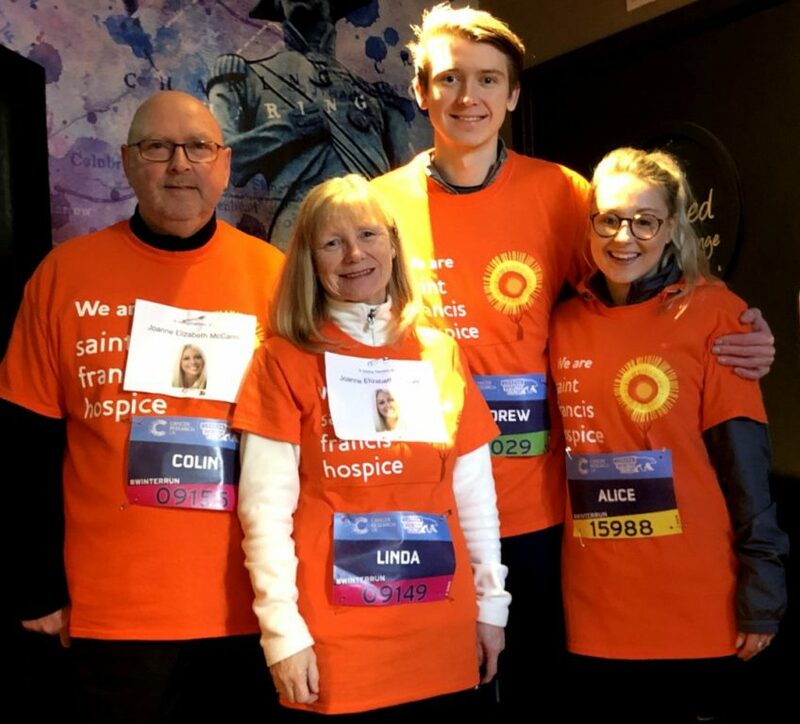 But on Sunday 3 February, they paid a special tribute to Joanne by taking part in the 10k London Winter Run through the City of London and raising more than £2,000 for Saint Francis Hospice. The primary school teacher was diagnosed with a very rare cancer just days after giving birth to her daughter Annabel in 2015. And in the two years before she sadly died on the Hospice’s inpatient unit, she received a wide range of support from the charity. “As we approach the 1st anniversary of Joanne passing away, we wanted to do something in her memory that was positive and helpful to the hospice,” said her dad Colin, who took part with his wife Linda, their son Andrew and other family members. This week Saint Francis Hospice launches their Spring Appeal – and this year also marks 35 years of providing specialist end of life care to the community.